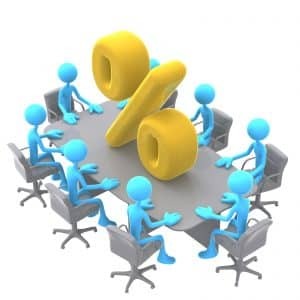 It’s the first Tuesday of the month, and that means that the Reserve Bank of Australia (RBA) has met to determine its June interest rates policy. Following their decision to cut rates to a record low-level of 1.75% in May, members have chosen the ‘steady as she goes’ option, keeping rates on hold. This continues the spate of good news for mortgage holders and investors alike. The Australian economy continues to show promising signs, with consumer confidence reaching its highest levels in 2½ years on the back of low interest rates and a surprisingly strong GDP report last week, which showed quarterly growth of 1.1% for an annual rise of 3.1% – the fastest pace in three years. “Australians’ perceptions of the economic outlook have likely been bolstered by the stronger than expected GDP data released last week,” ANZ head of Australian economics Felicity Emmett said. Views towards “economic conditions in the next 12 months” bounced 7% and views towards “the economy in the next 5 years” also rose strongly, up 3%. The strong economic data presented has also been supported by an improvement in the housing market Australia wide, with prices and auction clearance rates showing an improvement over recent months. This, in turn, will help to further support confidence and spending in what is a strong indication of an increasingly buoyant economy. If you are looking to take advantage of the low interest rates and favourable economic conditions, remember to contact your mortgage broker with any questions.